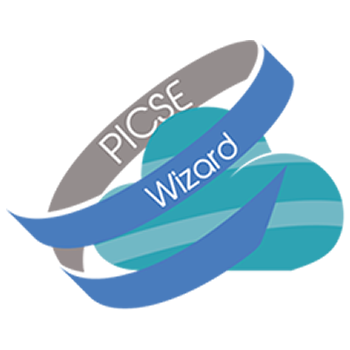 PICSE has supported the ICT Call 8 - Boosting public sector productivity and innovation through cloud computing services and the ICT Call 36 Pre-commercial procurement open to all areas of public interest requiring new ICT solutions with a focus on cloud services with a Partner Search tool. Please find below all the expressions of interest received. The call is now closed. Having successfully commissioned and built the UKs CloudStore (now Digital Marketplace) I'd like to create a Cloud Marketplace for Europe. The Marketplace will include: IaaS, PaaS, SaaS, Cloud Consultancy Services, Agile / Software Development Services, Security Services, Internet of Things. We require Partner(s) to partly fund the development of the Marketplace using Open Source solutions. Other countries interested in PCP ICT-08 to adopt our use case. Datanut Sciences (London) Limited is building a Data Science Framework for use on their Big Data Analytics Platform. The platform will offer a self service data discovery analytics for insight and data discovery, with additional consultancy. Looking for organisations who are keen to 'alpha/beta' test the Big Data Analytics Platform at initial lower costs. The project idea is to build a web portal aimed at fostering and supporting, crowd funding initiatives for the development ICT eHealth solutions. The service should allow easy interaction between players, making it simple to present new projects, as well as providing potential financiers with a marketplace where identifying easily the right idea. We are looking mainly for organizations interested in developing a similar service. As local authority we are evaluating to deploy the use of cloud computing for the management of public assets and for the delivering of public services. We would like to confront with other organizations working on proposals to confront on use cases and possible deployment areas and eventually to be engaged as project partners. Leading procurement management firm Specializing in innovative procurement in Public and Private sectors. Within Europe, BravoSolution has presence in Spain, Italy, France, the UK, Germany and the Netherlands. Multidisciplinary team of experts in all procurement related areas. Partners that need the expertise in procuremente processes. Partners that need to have a coordinator/partner that want to take care of paper-burocratic side. Partners that do not have time to write the proposal. We can take care of all those different duties in a project.